There was no summer houses in Als Odde - In stead we shows summer houses in the neighbour villages to Als Odde. Charming cottage 150m from the Kattegat with child-friendly beach and angling opportunities. The house contains living room, new kitchen, and 3 bedrooms. Small boat on handcart at your free disposal. Child-friendly beach with fine angling opportunities. 6 persons 3 bedrooms Dishwasher Washing machine Woodburner Pets OK Distance to beach: 150 m.
Nice holiday house, 84 m² with 3 bedrooms, protected site. Childfriendly bathing beach at a cosy fishermen village with marina, restaurants, tennis courts, tropical water park, miniature golf and rental of horses, bicycles and surfboards. 8 persons 3 bedrooms Dishwasher Washing machine Sauna Woodburner Pets OK Distance to beach: 700 m.
Cosy cottage for 5 persons, 50 m² in quiet surruondings near beach, good fishing with or without a boat. Baby chair and baby bed 120 centimeters. 5 persons 2 bedrooms Woodburner Pets OK Distance to beach: 300 m.
Nice cottage near the village, harbor and beach. 98m2 + 35m2 activity center. Billiards / table tennis, darts, spa, sauna, TV and Wi-Fi. 3 bedrooms - Sleeps 8. Heat pump and underfloor heating. The house is light and suitable for use all year round. 8 persons Dishwasher Washing machine Whirlpool Sauna Woodburner Internet - Broadband Distance to beach: 700 m.
4 persons 2 bedrooms Woodburner Distance to beach: 200 m.
Dejligt, renoveret sommerhus til 6 personer. Lounge med familie køkken, 3 soveværelser og badeværelse. 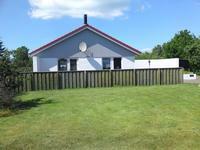 6 persons 3 bedrooms Dishwasher Washing machine Woodburner Internet - Broadband Pets OK Distance to beach: 200 m.